Ever wished you had a go-to guy for every errand you haven’t accomplished? It could be as simple as someone you can ask to get your laundry, someone you can call when you forget that assignment at home, or even as grand as planning a surprise party (as long as it is legal) for your beloved wife. HeyKuya can do all that—for free. The startup, a brainchild of Machine Ventures co-founder and CEO Shahab Shabibi brought the idea to life in September 2015 after a year of working with digital company, Rocket Internet. “I thought there was so much time we spend in traffic, that it would have been beneficial to have someone who can do our errands,” Shabibi told Entrepreneur.com.ph. One simply has to sign-up on their website to avail of the service. With the demand, subscribers are usually waitlisted from as short as 48 hours to as much as two months. If one can also sign-up a friend, the waiting gets shorter. One factor that Shabibi always considers with his startups is its inclusiveness, so he decided to keep HeyKuya as an SMS service for now, as not everyone has a quick and reliable data service. Still, a mobile app is already in the works. 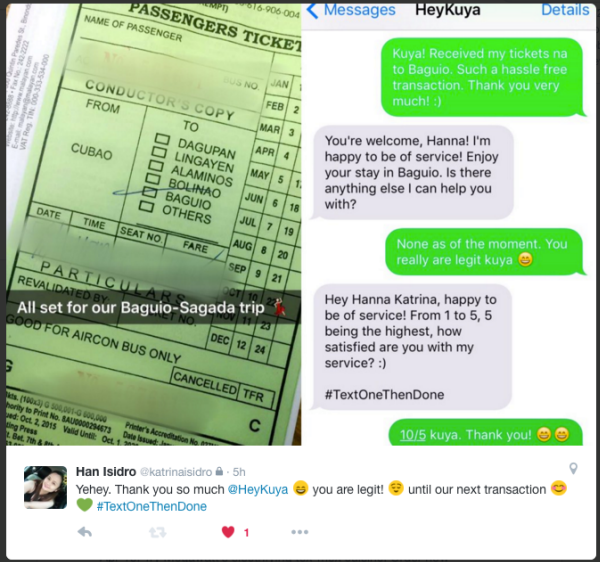 “Once you’re in, you get a text from a HeyKuya mobile number. From there, you can send all the requests you have for HeyKuya during our operating hours and as long as it is legal,” Shabibi added. The service is available from 9AM to 8PM, almost as long as mall hours, as most requests are usually tended to with the help of establishments. Currently, at least 40 percent of requests are logistical in nature, mostly food deliveries. In such cases, the customer will only pay the food they want delivered without the additional costs for the service HeyKuya offers. The same rule applies for other requests. Some ask for travel suggestions while others just simply want a reservation, all these handled without costs and with a single text message. “If you want something done, we give you options and then we’ll let you decide what service you want to avail,” Shabibi said. Still, some go far-fetched as if testing the service’s efficiency and reliability. “We had a customer who requested for 10 kilos of sand from this particular island for his aquarium. So we just asked a hostel nearby that island and requested what he wanted. In a week, we were able to deliver it,” Shabibi said. While these kind of requests are rare, those who usually ask for such later on become loyal customers of theirs. The service only had 5000 subscribers in their first month, but since January, the growth has been exponential, totaling to 30,000 as of press time and the startup is just currently servicing Metro Manila residents. Delivering such efficiency meant Shabibi also had to handle deliveries himself during their first month of operations. The first HeyKuya office was set-up in Bonifacio Global City, enabling him, together with his partner Farouk Meralli, to do all errands on-foot. With all the requests the startup is receiving these days, it’s hard to imagine that HeyKuya just started with two phones and two people handling all the inquiries. 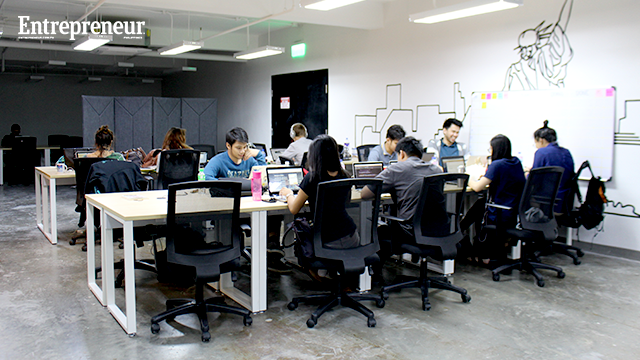 In September 2015, they were just having coffee with a fellow technopreneur, Subir Lohani—the managing director for Camudi Philippines—inquiring about the idea they had. After a week, the website was running. The beta site gained enough traction, enough for Shabibi and Meralli to push it further and eventually pursue it as a business. Though offering the service for free has its costs, Shabibi is still hard-pressed to make it available for everyone. So after a few months of service, the young technopreneur quickly realized how much talent and technologies the startup will demand later on, eventually talking to Indonesian firm YesBoss, which offers a similar service to the Southeast Asian nation. 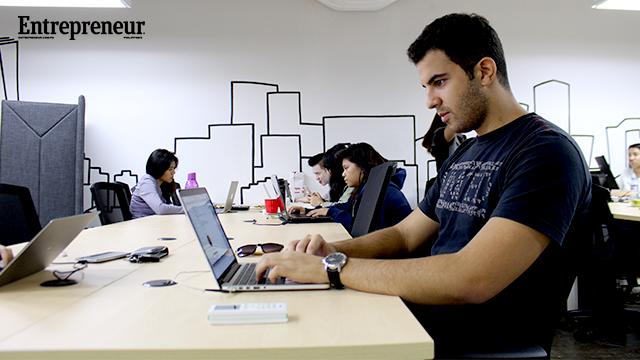 By March of this year, YesBoss acquired the startup while Shabibi’s team kept the operations at hand. The deal gave the young company shared knowledge from talents to some technologies, further giving HeyKuya the boost it needs for expansion. But the million-dollar question is, how does it earn? The startup currently has 50 total partners, establishments that they recommend to their subscribers once they seek for a service that they can offer. However, Shabibi said it is still up to the customer if they would take the suggestion. After all, HeyKuya is their personal assistant. After a year of operations, the startup now has its own fleet of drivers and a team of 25 manning the operations, catering to its market mostly composed of young professionals and students. Eventually, Shabibi sees the startup developing an algorithm that can streamline the process further, by as much as the system overseeing the requests themselves, by giving a look at the request history of a subscriber. “The technology is constantly improving and we’re developing more layers to the platform. It’s never a done process,” Shabibi said.